The objectives of the Veterans of Foreign Wars are fraternal, patriotic, historical and educational; to preserve and strengthen comradeship among its members; to assist worthy comrades; to perpetuate the memory and history of our dead, and to assist their widows and orphans; to maintain true allegiance to the Government of the United States of America, and fidelity to its Constitution and laws: to foster true patriotism, to maintain and extend the institutions of American freedom; and to preserve and defend the United States from all her enemies, whomsoever. 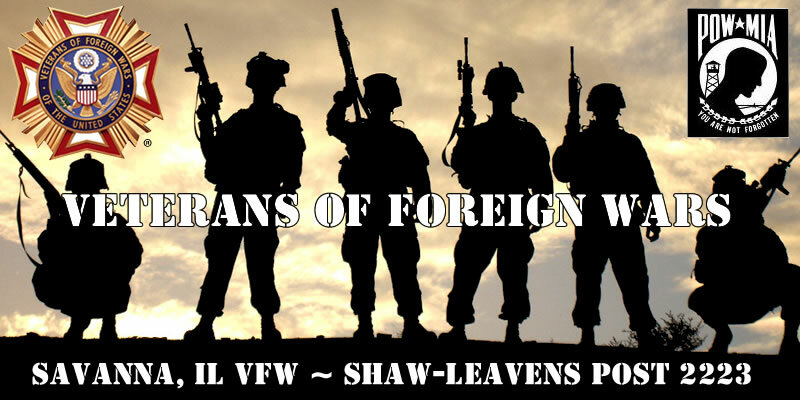 VFW Post 2223 Men's monthly meetings are held the second Thursday of every month at 6:30 PM. 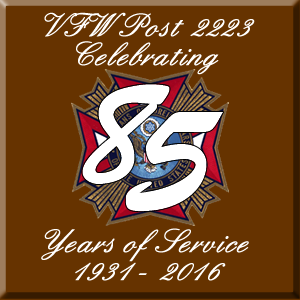 The Savanna VFW Post 2223 celebrated their 75th Anniversary in September of 2016. 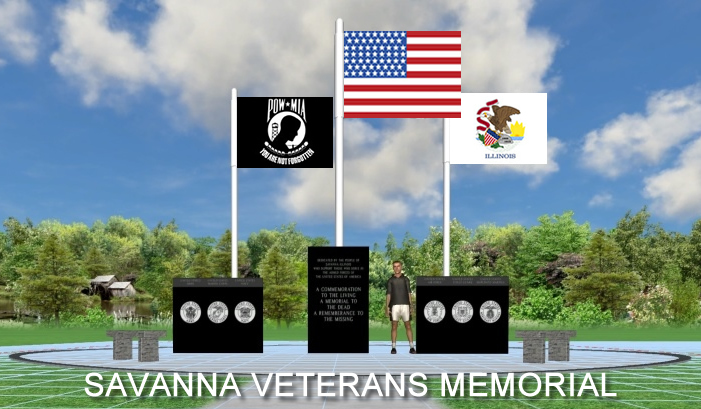 85 years of supporting veterans and our our local community! How Much Pride? - Our US Dollar Bill, do you know how much pride is shown on the US dollar bill? Click here to see. The more interesting part of the story is the history behind why that precedence is observed by the Department of Defense. Seniority of the Army, Navy and Marine Corps is obscured by the divergent elements of the intentions of the Continental Congress as compared to the realization of those intentions. Although the intention of the Congress to establish an Army is apparent in several resolutions of June 1775, the realization of those intentions was not effected until 01 January 1776 when General Washington stated in his orderly book, "This day giving commencement to the new Army which in every point of view is entirely Continental." Likewise the Navy which the Congress created by resolution in October 1775 was not to be realized until several months later. The process of procuring and outfitting ships as well as enlisting and commissioning personnel was a time consuming one. The commander in chief of the Navy and other officers were not commissioned until 22 December 1775. The Marine Corps, on the other hand, even though established by resolution on 10 November 1775, was actually a force in readiness before the Army or the Navy. Samuel Nicholas was commissioned a Captain of Marines on 28 November 1775, a month before the first officer of the Continental Navy was commissioned. In fact, the only facts that correspond to the present parade order of Army, Marine Corps, and Navy respectively, are the dates when their first officers were commissioned, in June, November, and December of 1775. Indeed, the Marine Corps' claim to being the oldest integral force in being results primarily from fortunate circumstances. The Corps was much smaller and more closely knit than either of the other services, and its origin was not complicated by the existence of provincial and local forces already in the field. Thus, the Continental Marine force was all regular Marine from the beginning during the period when the Army was an amorphous mass of mixed Continentals and militia, and the Navy lacked ships. The Marine Corps, therefore, could be considered the first truly "federal" armed services branch of the United States of America. In any case, the present order of parade precedence has become one of our foremost military customs and as the foregoing has indicated, there is little evidence to support any change in that order. The present order of parade precedence is defined in DoD Directive 1005.8 as Army, Marine Corps, Navy, Air Force and Coast Guard. Therefore, by analogy, the order of display of colors in any fashion, to include service branch seals, should be in the same order.